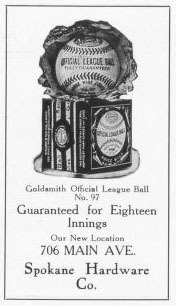 Goldsmith Official League Ball No. 97. Guaranteed for eighteen innings. Our new location. 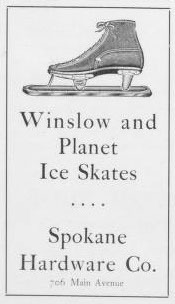 Winslow and Planet Ice Skates. 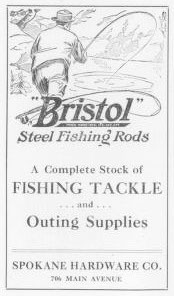 Bristol Steel Fishing Rods. A complete stock of fishing tackle and outing supplies.